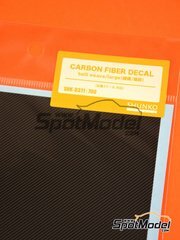 Gorgeous large scale carbon fiber pattern decals, perfect for 1/12 scale model cars and bikes. 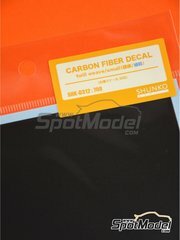 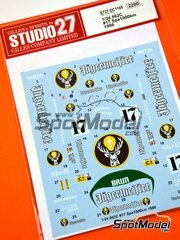 Carbon fiber decals with small pattern, perfect for your 1/20, 1/24 and 1/32 scale model kits. 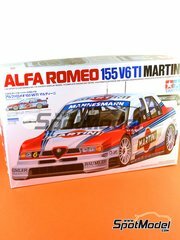 Time-limited re-edition of this classic Tamiya scale model kit featuring the Martini livery, so make sure you order yours fast!!. 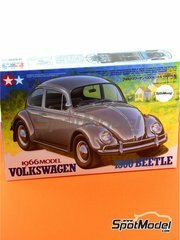 Re-edition of this classic Tamiya scale model kit of the 1966 Volkswagen Beetle 1300. 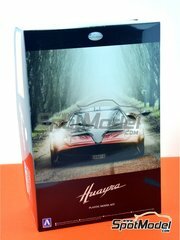 This edition will be available for a very short time. 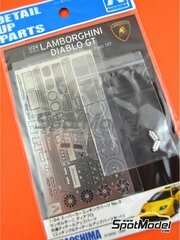 Improvement and detail up set by Beemax / Aoshima for the Lambo Diablo GT. 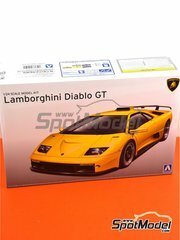 It includes grids, brake discs, fans, and many other photoetched parts, turned metal exhaust pipes, and mirrors and Lamborghini badges in adhesive metal. 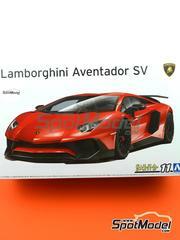 "Overseas" version of the Lamborghini Aventador LP750-4 SV, featuring some additional parts that are not included in the kit marketed at Japan. 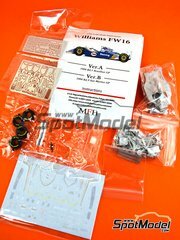 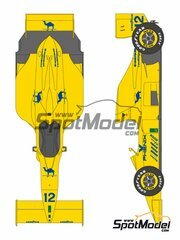 Magnificent Model Factory Hiro 1/43 scale model kit of one of the most influential cars of the 90s, the Williams FW16. 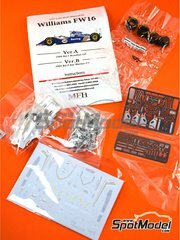 In the box you will find pieces of white metal, decals, tires stamped with manufacturer logos, metal turned parts, and a great assembly instructions manual. 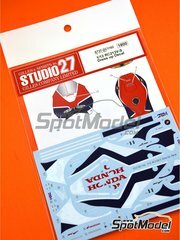 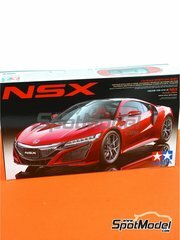 With this decoration, you can dress your Honda RC213V scale model just like the street version was sold. 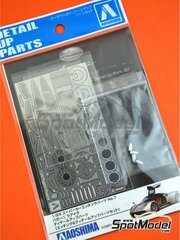 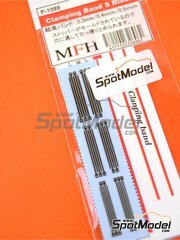 Photo-etched parts set, fabric stripes and metal parts for improving the Porsche 962C, recently released by Hasegawa. 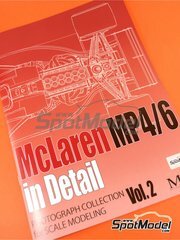 The second issue from Model Factory Hiro "PHOTOGRAPH COLLECTION" series, mainly focused on the McLaren Honda MP4/6. 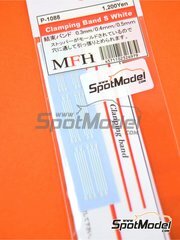 This is the perfect book for detailing and enhancing your scale models. 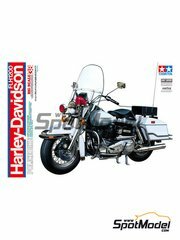 Time limited reedition of the classic American Police Harley Davidson. 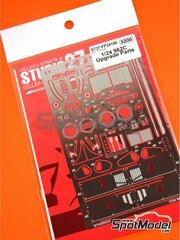 Includes decals for decoration, beautifully detailed engine and suspensions, and several parts that will make you really enjoy building it. 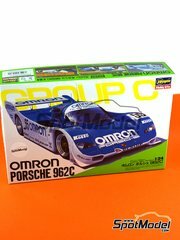 During 1986 the Porsche 962 was at its peak, as it showed at Monza, SPA and Silverstone. 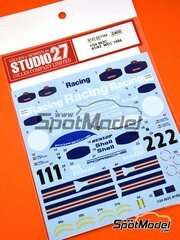 Here are the decals for that decoration, to be used with the recently released Hasegawa scale model kit. 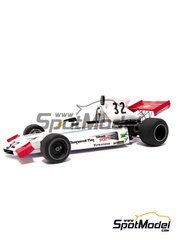 During 1986 the Porsche 962 was at its peak, as the gorgeous Jägermeister sponsored orange Porsche well demonstrated at SPA. 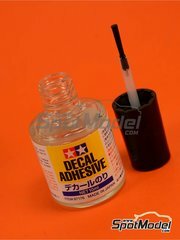 Here are the decals for that decoration, to be used with the recently released Hasegawa scale model kit.